Here's the recipe; you can click on the picture for a bigger image. Meanwhile, ToTT is giving away S$40 vouchers on this video! Just answer this simple question: When should you flip the pancakes? To enter the contest, simply watch this video and answer the question by leaving a comment on this video's YouTube page before 31 May 2015! 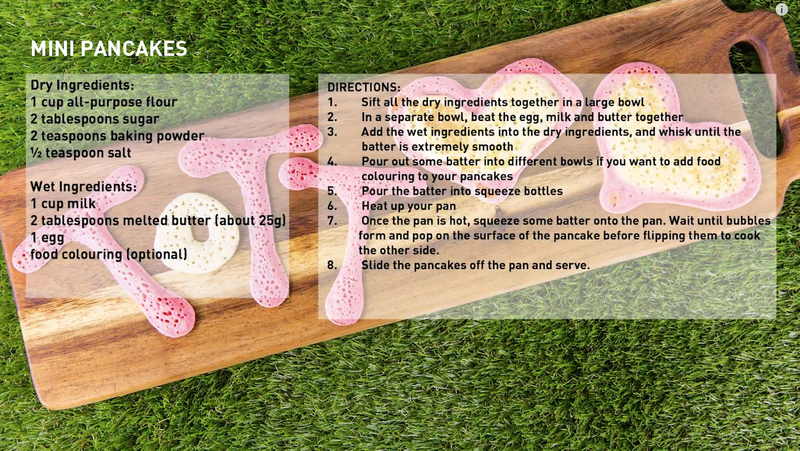 Flip the pancakes when bubbles appear and start to pop. You got it, KK! But do comment on the YouTube page to qualify for the draw!